These first few months of the new year present the perfect opportunity to reflect on the areas of our lives that could use improvement. In addition to the classic health and fitness regrets, organization (or lack thereof) is another common pain point for many. Maybe you’ve tried to step up your organization game before but haven’t found much success. But what if we told you that you’ve been going about it all wrong? 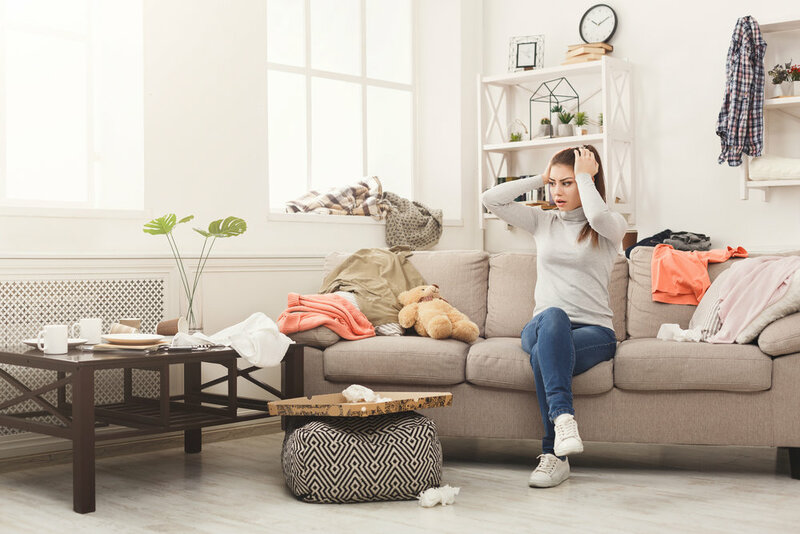 We sat down with CEO and Founder of Bee Organized, Tara Dodson-Wisshack, to get you the inside scoop on how to effectively organize your home. Here are her top five tips! 1. Just purge it. Purging is a daunting task, but once you do it, you’ll gain a clear head and a stress-free environment. The less clutter you have, the less there is to organize. Dodson suggests dividing everything into separate piles while honestly asking yourself, “When was the last time I used this?” If it’s been longer than six months, let it go. And if you feel bad for trashing it, either fix it immediately or donate it so that someone else can enjoy it. 2. Go with the flow. “People think there is some magical pill or special trick to keeping the house organized forever. But cleaning and organizing are ongoing jobs, so don’t get frustrated when the kid's playroom goes back to looking like it just got hit by a cyclone,” Dodson encourages. She suggests choosing small, daily tasks to keep the cleaning under control. Creating a schedule and completing one task a day is easier than spending your whole weekend trying to catch up. “If you have a family, get them involved; after all, cleaning is an important skill for adulthood, and everyone needs to learn how to pick up after themselves. Delegate tasks to each member of the family and create an accessible checklist to hold everyone accountable,” Dodson advises. 3. Contain yourself. “We all want to buy containers when we start a house cleaning/organizing project. I know it’s fun, but don’t do it!” Dodson warns. 5. Find It a Home. “Every item needs a home, a place to live and to be found again and again. Without a home, things can get lost or misplaced. Having a designated place for everything will remind you to put things back when you’re finished with them,” Dodson explains. It’s true that if we encourage ourselves to put things back in the places they belong, we can reduce our need to reorganize. If an object doesn’t have a home, it will end up in the way- in the corner of a room, on a counter or on the stairs.